MOSHIMOSHI NIPPON Ep. 09 | jibtv.com | Japan International Broadcasting Inc. In this special edition of MOSHIMOSHI NIPPON, we'll be covering all the major Japanese pop culture and Cool Japan events held around the world this summer. The program will feature on Japan Expo in Paris, and HYPER JAPAN in London to see how kawaii culture is spreading around the world. The MOSHIMOSHI NIPPON Project team also had booths at both events and promoted Japanese pop culture. Our program MC, Rei, will report from the floor of HYPER JAPAN and give you a firsthand look at London's own kawaii culture. HYPER JAPAN 2014, the biggest celebration of Japanese pop culture, took place in London over three days from July 25 - 27. 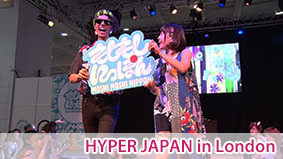 Rei, who starred in the Hyper KAWAii Fashion Show site, takes you to the front row of HYPER JAPAN 2014! 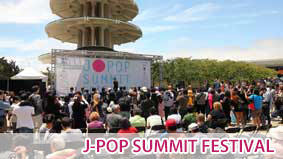 Street festival J-POP SUMMIT FETIVAL 2014 was held in San Francisco, California to introduce Japanese culture. Lots of booths lined on the streets, offering a variety of entertainment. MOSHI MOSHI NIPPON had a booth and a photo area. The festival also held live music from up-and-coming artists from Japan and fashion shows. 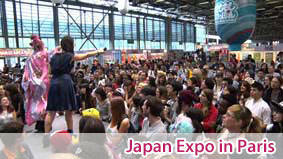 Check out the segment to find out more about this exciting J-Pop event!